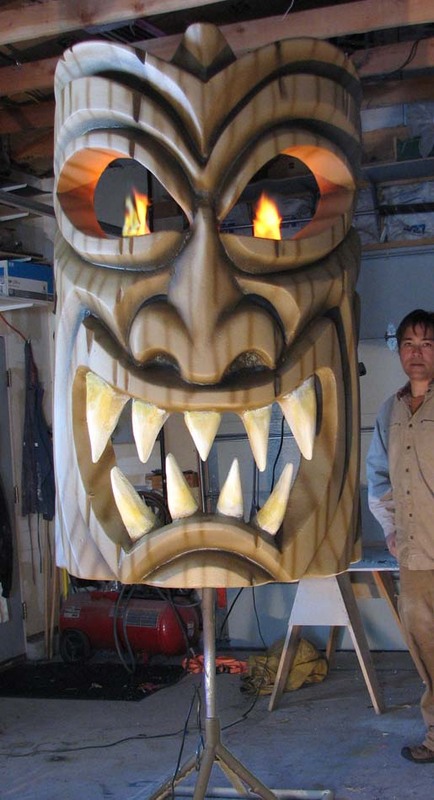 Giant 3d sculpted foam tiki head prop! Ready for Halloween! Here it is, ready for Halloween 09! This has moving fake flames in the eyes. door way. I made that mistake once! Posted 9 years, 5 months ago at 11:12 am. 3 dimensional lifesize bulldog head foam sculpture. the mark with Fido here! He or she was fun to make. The custom foam display will move some product! Posted 9 years, 6 months ago at 12:09 am. 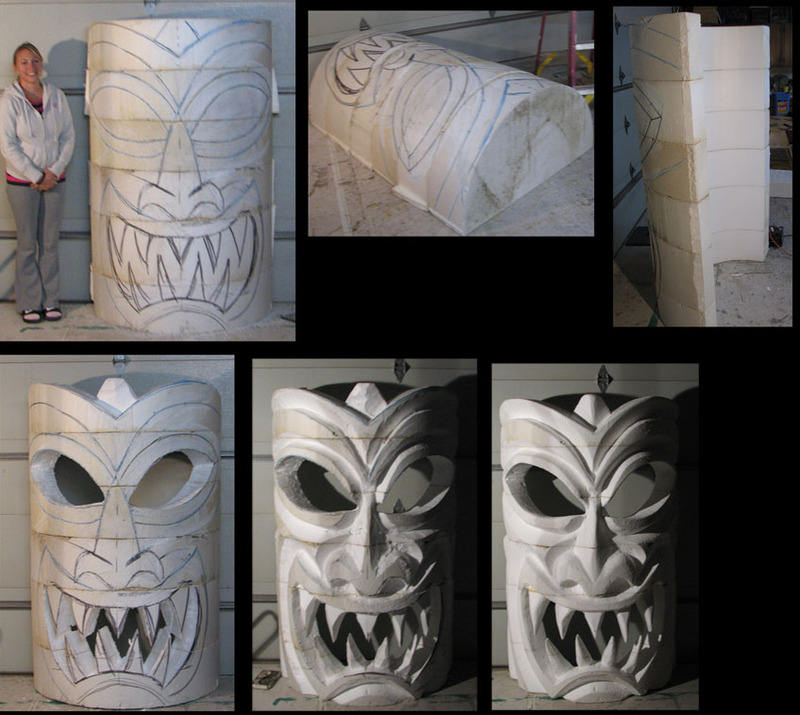 Big 3d foam sculpture of tiki mask. The step by steps! really enjoy cutting loose and making my own giant sculptures now when I can! Thanx Denver Egotist! Posted 9 years, 6 months ago at 10:39 pm. 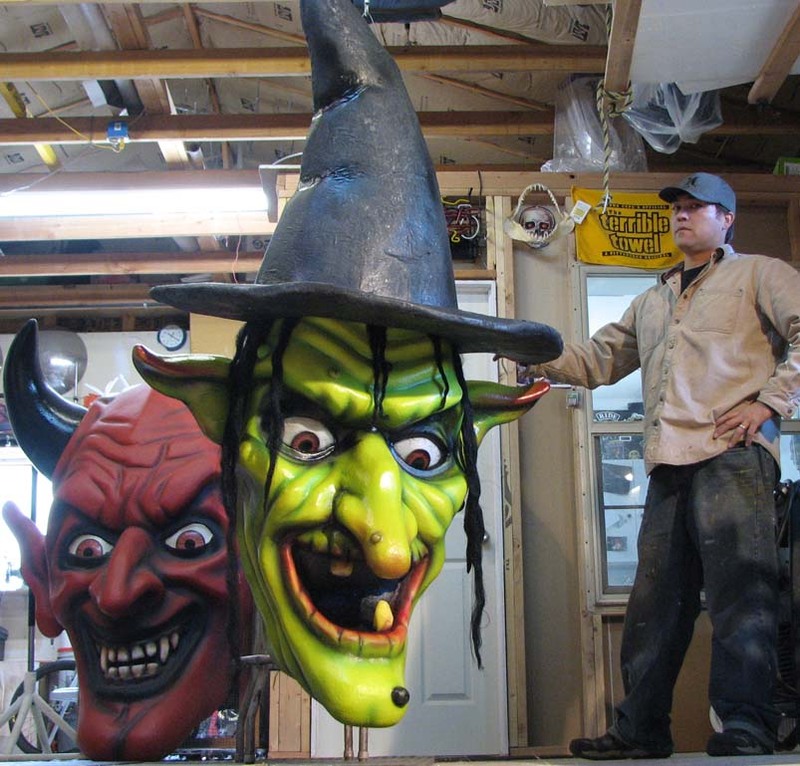 New big 3d foam Halloween prop! Every once in awhile I'll make a cool 3d foam sculpture that I add to my Halloween rental collection. Posted 9 years, 6 months ago at 10:06 pm.